The word "robust" does not do the Browning Pistol Vault justice. "Tough as nails" comes closer. "Bunker" even closer yet. Add one more word to this vault: "roomy". Plenty of space for several pistols and important valuables too. How many of you come home and unload your carry pistol along with a pocket of change, your wallet and a pocket knife onto your dresser? Never again if you have a Browning Pistol Vault. 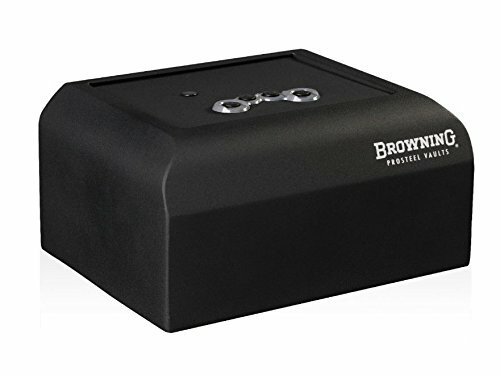 Instantly your pistol and other valuables are in safe, secure place.